Do you wish for your cesarean birth to be a calm, beautiful and joyous experience? Well it CAN be! And that is what this course is all about! We all know that sometimes, delivery of your baby via c-section is the safest option for both mother and baby. However, contrary to what some people believe; you do have options, and your choices can have a huge effect on your state of mind as you birth, the atmosphere of the room, mother’s comfort and your baby’s introduction to the world. If you are wanting a calm, empowered, positive birth experience but are concerned that this is just not possible via c-section delivery, think again - this course is designed for you! Hypnobubs™ has pioneered the Positive Cesarean Birth Course, which provides the birthing mother and birth partner with knowledge, tools (including relaxation, breathing and self-hypnosis), support and a method of preparation to assist in achieving a calm and family friendly cesarean (c-section, caesarean, caesarian, cesarian) birth. 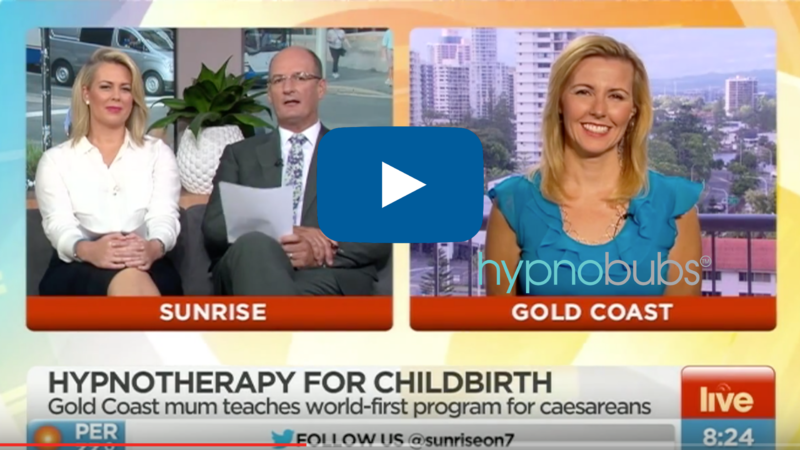 We have released this world first program because we passionately believe in POSITIVE birth – however our baby comes into the world. What does a ‘positive birth’ mean to me? Be part of the revolution that is taking place throughout the world as mothers gain more knowledge about how they can help and advocate for themselves and baby to achieve a very safe, calm, empowered and positive cesarean birth. Our world first Positive Cesarean Birth Course, is specifically designed to support you in a positive pregnancy and calm cesarean birth. Every parent deserves to approach the birth of their baby with joy! Give yourself and your baby the absolute best start by combining our Positive Cesarean Birth online course with a 90 minute private session with your own Practitioner. This option provides you with the ultimate set of resources and support in your preparation for a positive cesarean birth. In addition to the Hypnobubs™ Positive Cesarean Online Course, you will receive a 90 minute Private Skype or phone session with a Certified Practitioner who will walk you through any areas that require further clarification; help you to address any fears and reservations that you may be holding you back from the birth you desire and deserve; and also personalise your practice routine to ensure that you are getting the most out of your tuition. This option is highly recommended if you want 'the edge' in your positive cesarean birth preparation! Hypnobubs™ Positive Cesaerean Online Course including video classes, eBook, worksheets, albums and resources. Breastfeeding & Bonding, Sleep Deeply and Sapphire Sea long play mp3 tracks to help support your positive mindset and wellbeing after birth.